Tall hedges can be a nuisance, especially where neighbours can’t agree on a suitable height amicably. 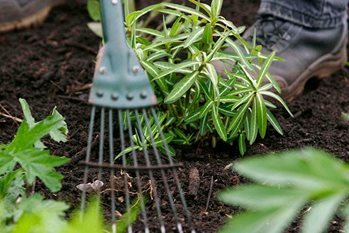 However, legislation now gives people whose gardens are overshadowed the opportunity to resolve the problem with the help of the local council. How much will the hedge be cut back by? Where you feel that a hedge is too tall and affects the ‘reasonable’ enjoyment of your house or garden, the first step is to negotiate with your neighbours. Keep a copy of any letters to demonstrate you have tried. For more information on the complaints procedure, see the Communities and Local Goverment website: guidance on high hedges legislation. There are guidelines (not mandatory) in the government’s Hedge height and light loss. There are some common misconceptions about the high hedges law, some of which are explained below. You can also contact your local council. And visit our advice page on Trees and the law. Is the person who plants a hedge responsible for maintaining it? No, they are not obliged to do so. The exception would be in cases that fall within the High Hedges Act. What is the minimum height of hedge that the High Hedges Act covers? What is the definition of a hedge for the purposes of the Act? A line of 2 or more trees or shrubs, wholly or predominantly evergreen or semi evergreen. If I think I have a complaint what should I do? Contact your Local Planning Authority and ask for some information. The Council do not mediate in neighbour disputes. If a boundary hedge belongs to my neighbour, do I have to offer the hedge trimmings from my side back to my neighbour? Yes. The same principles apply as for offering overhanging tree branches back. In practise, an unofficial agreement between neighbours is usually in place but this might be worth doing if you have recently moved house. Can I chuck the hedge trimmings over into my neighbour’s garden? No. Not unless they have accepted the offer of them and even then they may wish them to be returned in a more reasonable way. What responsibilities do I have with wildlife and hedges? The Wildlife and Countryside Act 1981 applies, deeming that it is an offence to damage or destroy the nest of any wild bird while it is in use or being built. See our page on trimming hedges.